PARIS — Yellow vest demonstrators gathered in Paris and other French cities for a 19th round of demonstrations as authorities issued bans on protests in certain areas and enhanced security measures in an effort to avoid a repeat of last week's riots in the capital. Authorities banned protests Saturday from the Champs-Elysees avenue in Paris and central neighborhoods of several cities including Bordeaux, Toulouse, Marseille and Nice in the south, and Rouen in western France. 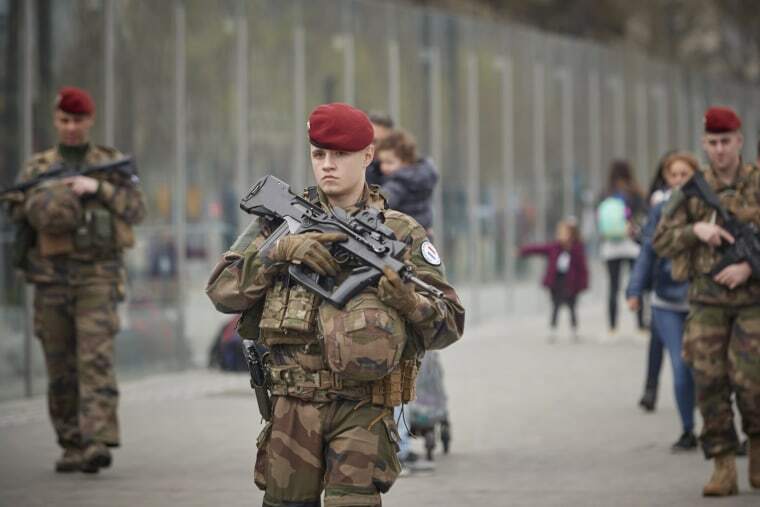 Paris police said 31 people have been arrested and 15 protesters were fined for being in the banned area, out of 2,322 controls in the streets of the capital. The new Paris police chief, Didier Lallement, who took charge following last week's protests, said specific police units have been created to react faster to any violence. "Those trying to scare people, or to scare themselves, are wrong," he said in Brussels. 'Yellow vests' find support among France's far-right and far-left — but can they win votes? Last week's surge in violence came as the 4-month-old anti-government movement has been dwindling. The protests started in November to oppose fuel tax hikes but have expanded into a broader rejection of Macron's economic policies, which protesters say favor businesses and the wealthy over ordinary French workers.